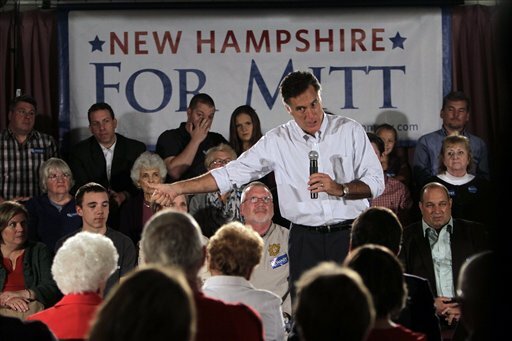 Salem, NH - Republican presidential contender Mitt Romney is talking tough on Pakistan, a key ally in the war in Afghanistan. The former Massachusetts governor told New Hampshire voters Monday night that Pakistan is playing both sides — going after the Taliban within its borders in some cases and helping it in others. That’s unacceptable, he said. Romney did not clarify what that consequence might be. The comments are among his toughest regarding Pakistan and represent a departure from his position last time he ran for president. In 2007, Romney was critical of then-Democratic candidate Barack Obama’s support for military action inside Pakistan’s borders in some cases. Relying largely on drone attacks, Obama has pursued the policy as president, inside Pakistan and elsewhere. Romney and other Republican presidential candidates last week praised the Obama administration’s killing of a top al-Qaida operative inside Yemen. Obama’s comments came last week on a Florida television station while talking about the need for investment in science and infrastructure and improving education.